Rome is one of the most beautiful and diverse places to visit in the world. You probably know that Rome is tremendously popular among travelers, but have you ever wondered why? 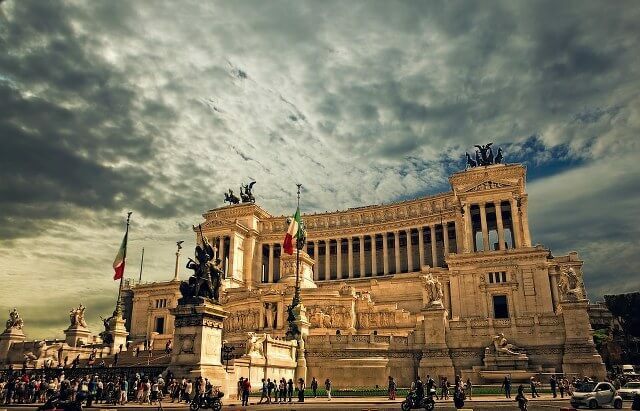 Here are our 13 things to do in Rome Italy and be amazed in the greatness of Rome itself. Mostly, the people in Rome are extremely friendly. They are throughout the majority of Italy in fact, with only a few exceptions. You’ll receive incredible hospitality in shops and hotels. The people love tourists, and you should feel very welcomed by them! Attempt to learn a few key Italian phrases before you visit to make the best impression and have an easier time. as a start up to learn simple Italian words and phrases. Sometimes, people are so friendly and hospitable that they allow some tourists to dine with them at night. Others will offer a night of sleep and company. They are just so helpful that tourists also love going there. 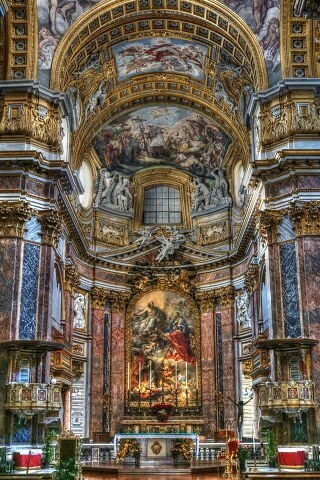 When walking through Rome, just stop and realize that you’re walking through a work of art. Many of the events that have taken place here have had a part in changing the course of human history. Don’t forget your camera, as there are so many photo opportunities. You’ll come across sculptures, fountains, and paintings and other Rome tourist attractions that has been made since the medieval period. Michelangelo, Raphael, Botticelli, and Bernini are just a few of the artists who have made their mark here and on the rest of the world! Rome is one of the most famous places in the world for eating and drinking. The Italians enjoy many courses with each meal, usually splitting the dishes up into different food groups. Strange to you maybe, but this doesn’t make it any less delicious. You can try an incredible pizza, pasta, and seafood. The pizza is huge whether you want as a main meal or a snack. They make the pasta as high quality as possible, and I assure you that they will surely deliver a delicious pasta or pizza on the table. There are simple, yummy flavors, so there’s something for everyone. Even the gelato (ice cream) is fantastic, with hazelnut and coconut on it, they are surely some of the best flavors around the town. Although Rome is considered chaotic, it is very relaxing here. It’s such a perfect place to recharge your batteries, whether you want to wind down at the end of the day or the end of your trip. 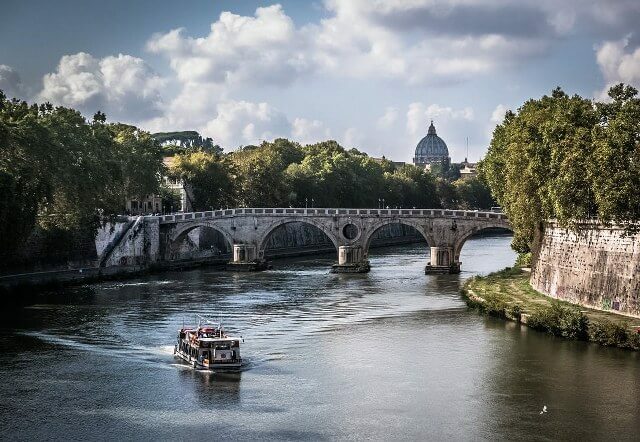 It is free to stroll or simply walk in the third longest river in Italy, the Tiber, which is also one of the top places to visit in Rome. You can enjoy a few food with drinks and enjoy seeing the streets. You may wait for the sunset here, or just enjoy the cool and fresh air flowing from the surroundings. It would be silly to suggest that Rome is perfect. However, the imperfections give it character and make it even better. You’ll see graffiti, even on the trains; making it look like something out of a 90s film! 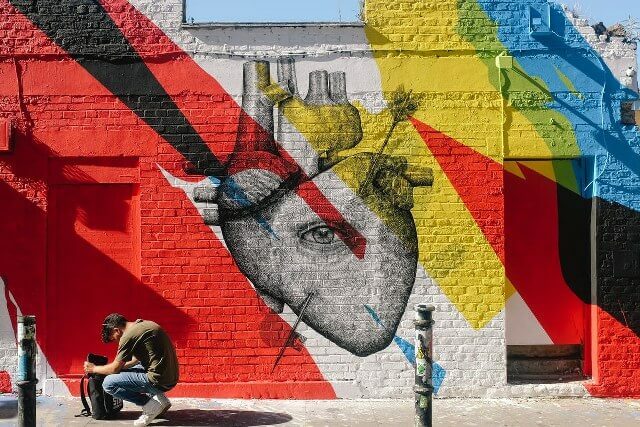 I love the colorful and gorgeous street arts that can be found in random corners in Rome and I can say that they are one of the best things to see in Rome. They are truly an amazing art that was created by talented individuals. It ‘d be good to hunt some of them and take stunning Instagram photos. The Magic of the Trevi Fountain is one of the most beautiful things that is included in our things to do in Rome Italy. It’s amazing to consider the skill it must have taken to create something so intricate and amazing. Don’t forget to toss a coin into the fountain if you’d like to return to Rome one day. Rome has so many incredible stories and a mind-blowing history that will surely amaze you. The great thing about this is you can learn them on one of the many Rome tours available just almost every corner. Providing you pick a great visit in Rome, your guide should fill you in on the information that makes sightseeing even better! Make sure you make an effort to learn some of the histories before you see the sights, as it’ll make it all the more magical. As everything is close together, you can enjoy exploring Rome on foot. You can get to the shops and sights easily, and it’s easy to get a sense of direction quickly so that you won’t get overwhelmed. You’ll quickly be able to navigate your way around without a map or even a smartphone app! Rome has fantastic weather most of the year. A bright blue sky and the sun will be out most of the time, and it’s unlikely to rain. Easter is a brilliant time to visit for both the weather and in a cultural sense. Ready your cameras to capture the best weather in your traveling career. There’s nothing quite like sitting outside enjoying a coffee in Rome. You can watch the city go by, and enjoy some quality people watching time. Just don’t forget your sunglasses for the occasion! The coffee is amazing by the way – another great reason to love Rome (although it can be around 8 euros a cup, try not to freak out). You’ll never have a bad espresso, but why not try the coffee poured over chocolate? It’s a specialty and yummy! You can drink your coffee and people watch on the streets after a day of tour in Rome, but sometimes we need to rest. The Spanish steps are a great place to people watch. This is 136 steps overlooking Piazza di Spagna. Have a sit down here with a gelato if you need a break from all of the excitement! Sometimes, just in front of you, while you are watching, there will be performers on the streets. 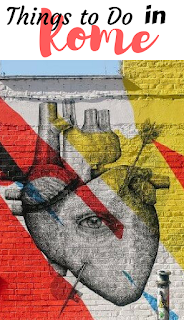 Some people will show magic tricks, some will sing, some will play music, and anything that talented individuals might think that it’ll be fun. So don’t miss it and have a good time while watching them! 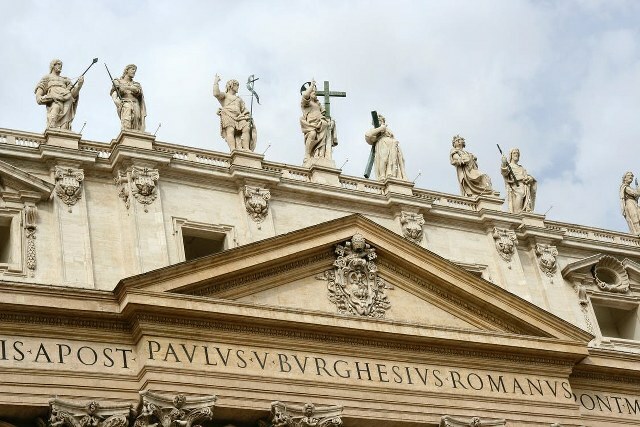 The Vatican holds such importance all around the world, so it’s a great place to visit on your trip to Rome. Anybody can see the Pope do his blessings. There are benefits on Sundays and Wednesdays, with Wednesday being the more regular day. Just turn up or get a free ticket the day before. Bear in mind that during summer, the Pope will do his blessings in his summer residence, which is 25 miles out of Rome. Rome is magical lit up at night. Seeing St Peter’s Square and the Vatican glowing is amazing. With everything bathed in a golden light, you’ll experience Rome’s beauty from a whole different perspective. Go alone or with a friend and enjoy it! Final Notes: The Best Thing to Do in Rome Italy is to Have Fun! There you have them; 13 things to do in Rome, Italy. If you haven’t visited yet, you have nothing to lose! If you have, get yourself back there. With the gorgeous food, friendly people, and many things to see and do, it’s one of the best places to visit, whether for a short break or an extended trip. 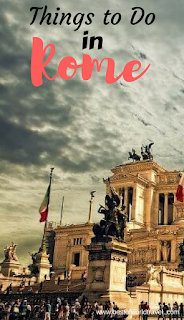 Leave your thoughts on Rome below!